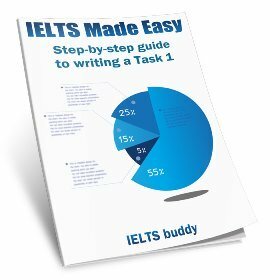 Why did my IELTS Speaking Score Drop? In Aug test I expected 6.5 or 7 band in speaking but when i got the result I was totally disappointed. I gave my best in speaking and was confident to get 7 but never imagined for 4.5. Should I go for revaluation of my speaking module? Your situation is one where you certainly should seriously consider a remark. There is a very big difference in the speaking ability of someone who is 4.5 and someone 6.5. Sometimes scores can vary, even by a band or more if someone performs better one time than another. You may find the questions easier or feel more relaxed for some reason at one test than another. Did you feel you did much better in the first test than the second for some reason? But if you are very confident that that situation does not apply to you, it is very unlikely you could drop two bands over that time so something may have gone wrong. There's no way to predict though how a remark could go so it's really up to you. As I said, a possible scenario is you performed much better the first time but maybe it was graded a bit high, and this time you performed less well but it was also under-marked. So maybe you are at the 5.5 level. You also need to think about what band you need. Is it 6? Usually if bands do get increased it's just around half a band so you may not go up to a 6 (though anything is possible). But it's all just speculation. If you are confident that is is higher e.g. you have had a teacher who knows you are better than that, maybe you should consider it, but it's really up to you. Should I give my paper for revaluation for Speaking section? This is my 6th attempt and I have never scored less than 7.0 in speaking in all my attempts! This is crazy and I am disheartened. Please guide. Comments for IELTS Revaluation for Speaking? It's up to you but yes I would say you have very good reasons for getting it remarked. It's quite possible to make errors with the writing and for the score to drop, for example not answering the question fully. But it's odd for someone's speaking to suddenly drop like that unless for some reason you think you may have done worse that day. Thank you. I am giving it for revaluation today itself! Hope the scores change for good! My speaking exam went quite well & there was hardly 2 months of gap between both the tests. How did I lose 1 complete band in speaking, I just can not understand. I want to go for re-evaluation of my speaking module. Please advise, it will be really useful. There is a quite a difference between a 6.5 and 7.5, and as you say it is odd for someone's speaking to drop by a band in a few months. However, it is possible if you did perform much better the first time. Are you sure you did as well the second time as the first? A candidate can do much better at one time in the exam than another time if for example they feel more relaxed with the examiner they have and they find the questions easier. This can make a big difference. It is common to hear people come out of the test one time and think it went great but another time it went badly. So this can account for variations and fluctuations in IELTS band scores. I see that your writing was 6.5 the first time, then you got 7. It can be difficult to get from 6.5 to 7, so it would be a shame if you took the test again but then found you could not get up to 7 on your writing. So it may be worth considering a remark but it is a gamble and nobody can say if your score will change or not. Could it be that your score was too high the first time? So you really need to think about how confident you are that you did better than 6.5, and then decide yourself whether you want to risk it or take the test again. Thanks for advice. However, I would like to correct you about my writing score, it was 6 before and not 6.5. I completely understand that scoring 7 in writing is difficult but I will certainly give the exam again. Beside, I have already filled the re-evaluation. I hope this may be more fruitful. how long does it take the result before it gets useless? Yes I see it was 6, my mistake. Please post back when you get the re-evaluation mark. It will be interesting to see if the speaking score changes. To raise my writing score to Band 7, I took this test again in Jan 2016 and scored the following. Could never understand why speaking score was dropped by 1.5 Band. 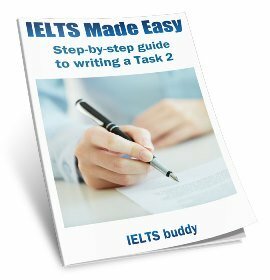 Personally, I don't think if there are two examiners in IELTS who grade speaking and writing sections. 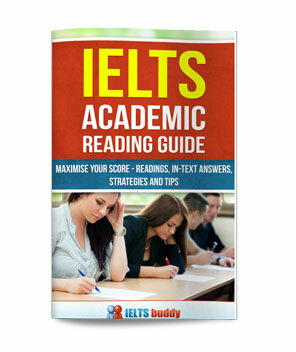 Such a huge variation in IELTS score clealry shows weaknesses and variations in IELTS exams. That is a big drop and there is a big difference between someone who is 8 and someone who is 6.5. However, consider the things that I said to Manvir - are there any reasons why you may have performed much better in the first test than the second? If you are sure you performed the same in both then you may want to reconsider a remark (EOR) but it's up to you - there are no guarantees and it will cost you money to do it. Did u apply for re-evaluation of speaking module also.. If not, then it is very bizarre. In fact, I did not apply for the re-evaluation because I could not secure Band 8 in listening. Based on my personal experience, I would like to mention that speaking and writing sections highly depend on examiners. Both times, I took my IELTS tests in the US. The first time, my examiner was a native speaker, and the second time, unfortunately, a non-native speaker. Is there someone who could tell me if speaking and writing sections are graded by two examiners, or there is one grader only? I tried to sit another IELTS exam 2 months after, July 2015, in the hopes of reaching at least band 7 in writing. And this was the result. I got what I aimed for but I was disappointed with my speaking result. Even when I had it remarked, my speaking result remained the same. But I thanked God because IELTS buddy is here to help. 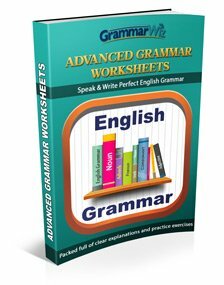 The most effective tool/reviewer there is on the planet! I took another IELTS in July 2016 and I got 7.5 in listening and the rest were all 7.